Join the new Wetskills initiative in Oman: the Wetskills Water Challenge in Muscat from 15-25 March 2019. Celebrate World Water Day in this unique country in the Middle East with enthusiastic young water talents from various countries. Bring in good ideas for the Water-Energy-Food nexus and be prepared for the the WorldExpo Dubai 2020. Wetskills goes to Central Asia for the first time! 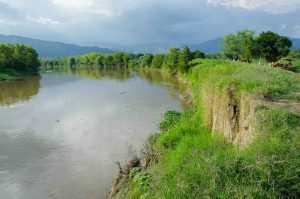 The Wetskills Foundation invites Bachelor, Master, PhD students and recent graduates to apply for this unique opportunity to meet the irrigation and water challenges in Kyrgyzstan. Apply now for this great opportunity to experience the 33th Wetskills edition! 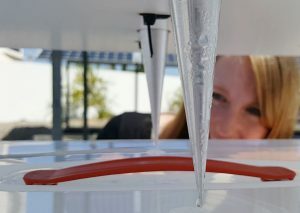 The Wetskills Foundation invites Bachelor, Master, PhD students and recent graduates to apply for the fifth Wetskills Water Challenge programme in The Netherlands, in and around the Europeans Cultural Capital of 2018: City of Leeuwarden (northern part of NL). Apply now for this great opportunity to experience the 34th Wetskills edition! Cape Town, June 2018 – Minister of Water and Sanitation of South Africa, Mr. Gugile Nkwinti and Mr. Henk Ovink, Special Water Envoy for the kingdom of The Netherlands, awarded the winning team ‘Water Sleuths’ with their concept ‘Bye Day Zero‘ at a special ceremony at the WISA Conference in Cape Town. The Wetskills Foundation invites Bachelor, Master, PhD students and recent graduates to apply for the Wetskills Water Challenge programme in China. 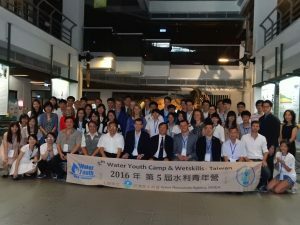 This edition of Wetskills will take the participants to the great cities of Hangzhou and Shanghai for two weeks, visiting interesting and relevant water-related locations in and around Hangzhou and having the finals and awarding during the yearly Aquatech Shanghai, world's largest water event. Apply now for this unique opportunity to experience the 30th Wetskills edition: back to China! The Wetskills Foundation invites Bachelor, Master, PhD students and recent graduates to apply for the Wetskills Water Challenge program in Colombia. This edition of Wetskills will take the participants to the gorgeous, historic Colombian port city of Cartagena for two weeks, visiting interesting and relevant water-related locations in and around Cartagena and having the finals and awarding during the yearly ACODAL congress. To all who are interested in water challenges and the ancient heritage of Colombia, this is your chance! Apply now for this unique opportunity to experience the very first Wetskills edition in South America! Do you want to make water from the air? Join the SunGlacier Challenge. 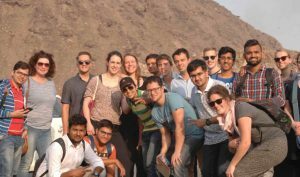 The partners of the SunGlacier Challenge invite teams of universities worldwide to join this unique challenge in Oman (20-23 March 2018) to make water from the air! 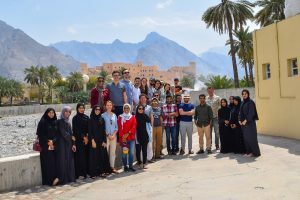 Create as a university team your own SunGlacier (based on the techniques that will be provided), arrange your travel to Oman and compete with other teams. Main goal: going further with the latest techniques to provide the world with a new, reliable and cheap water source! 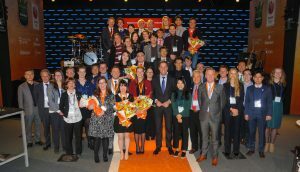 Read about the unique finals in the Holland Heineken House, Gangneung during the PyeongChang olympic Winter Games in presence of The Netherlands prime minister Mark Rutte. The Wetskills Foundation with partners Hongik University, Embassy of the Kingdom of The Netherlands and Korea Water Forum organized a special edition of Wetskills: the Olympic edition in South Korea (period: 28 January - 12 February 2018). The fourth Wetskills edition in The Netherlands was a special one: A tour through the Dutch Delta. 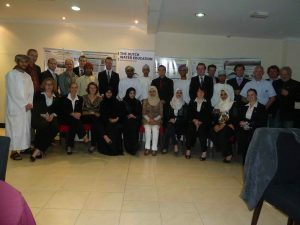 23 participants of 10 different nationalities and 6 cases! Visit the page of this event! For the second time to Israel: it was a great experience again. Have a look to the experiences, cases and results. Are you a student or young professional in Europe or even outside, who wants to make a difference in the water sector? Would you like to experience working in international teams and experiencing water in Romania? Do you want to work on challenging water issues and get to present your ideas during the ExpoApa in Bucharest? This is your chance! 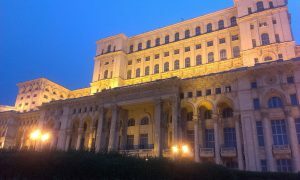 Join us to Romania! Are you a student or young professional in Europe or even outside, who wants to make a difference in the water sector? Would you like to experience working in international teams and experiencing water in the United Kingdom? 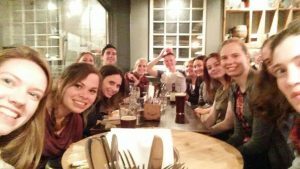 Do you want to work on challenging water issues and get to present your ideas during the Young Water Professionals meeting in Bath, UK? This is your chance! Join us to the United Kingdom! 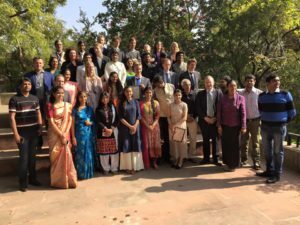 Wetskills Foundation with partners Center for Environment Education, DuurzaamDoor (RVO.nl) and Gujarat Pollution Board organized the second Wetskills edition in India. 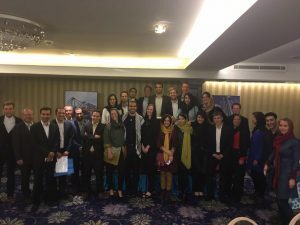 Tehran-Iran, Minister of Environment and Infrastructure of Kingdom of The Netherlands, Ms. Schultz van Haegen announced and awarded the winning team of Wetskills-Iran. The Wetskills jury found that returning a flamingo to Lake Urmia to raise awareness on all kinds of levels in society (from primary schools to farmers to municipalities) was the idea worth awarding. Boston, Massachusetts, United States – After 19 successful editions worldwide in the last six years, of which two in North America, the Wetskills Water Challenge was organized in Boston for the first time (after last year in Milwaukee, Wisconsin). Team ARCADIS won with the out-of-the-box concept 'Safety on Pillars', a multipurpose bridge to raise awareness for climate proofing the Seaport district in Boston. 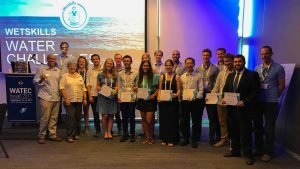 On the 16th of May five groups of young water professionals presented their innovative ideas for water related challenges during the Wetskills competition. The winning team presented an impressive solution for dealing with drought and flooding in the Inkomati river basin area, shared by South Africa, Swaziland and Mozambique. Henk Ovink, Special Envoy for International Water Affairs of the Netherlands was the head of the jury. He praised the five international teams for their out-of-the-box thinking. Ahmedabad, India – After 16 successful editions in five years, the Wetskills Water Challenge was organized in India for the first time. 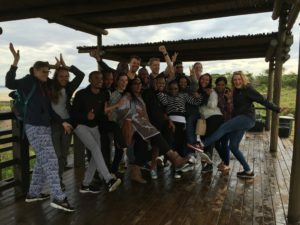 This Wetskills program started on 28 November and ended on 11 December. 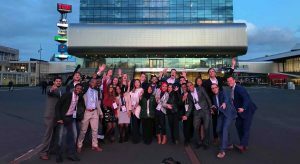 24 students and young professionals in the Dutch and Indian water industry competed to develop an innovative concept for five case studies from various partners in India. On 5 June 2015, the new edition of the Wetskills Water Challenge started in Bucharest. After the successful event in 2013, Wetskills was invited by the Politehnica to hold a new event. 18 students from Romanian and Dutch universities participated in the two-weeks programme. The programme started in Constanta with the teambuilding trip to wastewater treatment plant and a construction site of Van Oord’s project aimed at preventing further costal erosion. The Wetskills final presentations and awarding ceremony were held during the ExpoApa (17 June). Ryerson University, Toronto, Canada – Water Hollistics is the next winner of the Wetskills Water Challenge. The edition in Toronto was held for the first time in North America, from 5th to 19th of June. 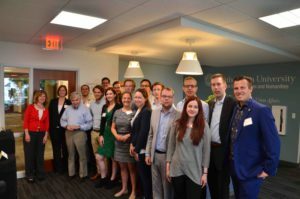 The teams of students from various Dutch, American and Canadian universities presented their innovative concepts during the Ryerson Urban Water Day (17th of June), which took place at the Ryerson University in Toronto. The awarding ceremony took place at the Canadian Water Summit a day later. 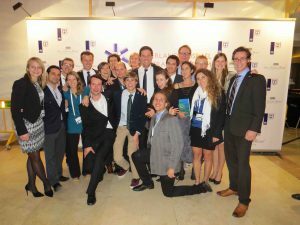 Tel Aviv – On Sunday 8 December Mr. Wientjes (President of the Confederation of Netherlands Industry and Employers (VNO-NCW)) awarded a team of two Israeli and two Dutch water students. This team won the prestigious Wetskills Water Challenge Israel 2013 with their out-of-the-box concept “Reclaim Agriculture”, about improving the social context of using reclaimed water for agricultural purposes in Arabic areas in Israel. The first edition of the Wetskills Water Challenge in Bucharest was organized in 2013. 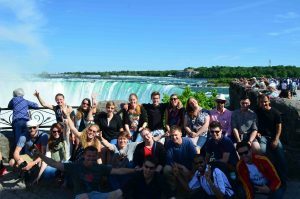 20 students from Romanian and Dutch universities participated in the two-weeks programme. 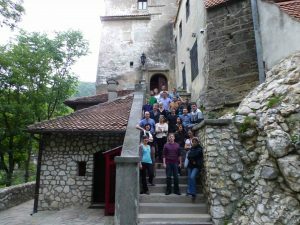 The programme had a great team building weekend in Bran, Brasov, Sinaia and Bucharest. The Wetskills final presentations and awarding ceremony were held during the ExpoApa. 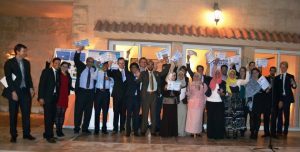 For more than 36 years, the Advisory Panel on Water Management (APP) contributed to Egyptian-Dutch development cooperation in the water sector. The Panel has always functioned as a think-thank and as a communication body between departments and ongoing water and sanitation projects. The Wetskills teams presented their cases during a presentation event in the Egyptian/Dutch High level panel meeting on Water Management (28 and 29 November 2012).